Just five minutes’ walk from Bryn Y Gors and you will be in the quaint village of Pontrhydfendigaid, the birthplace of Caradog Jones, the first Welshman to reach the summit of Mount Everest. 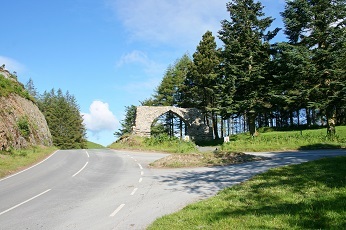 Pontrhydfendigaid or “Bont” as it is known for short has a convenience shop, café and church. There are also two local pubs, making it ideal for a short stroll into the village to enjoy a nice meal in a pleasant setting. For anyone interested in taking part in a bit of Welsh culture there are an annual Eisteddfod and Celtic Music Society as well as various events taking place in the recently renovated Bont Pavilion. Pontrhydfendigaid also features in the novel “The Discovery of Heaven” by Dutch author Harry Mulisch as being the place where Mr and Mrs Spiers take their holidays. 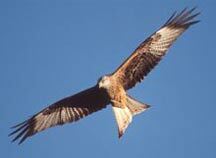 The Red Kite, Wales’ most iconic bird is often seen flying around the area at Bryn Y Gors. Here you have the advantage of being able to see these magnificent birds in their natural habitat without even having to leave the park. However, if you would like to take a more active role in observing red kites then a visit to the Kite Centre and Museum in Tregaron is a must. Here you can find out more about Red Kites as well as the conservation work that is being done in the area to help boost the population of these incredible birds. Cors Caron Nature Reserve in Tregaron is also very good for seeing, not just Red Kites, but also many other birds, it is definitely worth a visit. Slightly further afield is Bwlch Nant Yr Arian where red kites are fed daily in a beautiful setting by the lake. The area is a must for wildlife enthusiasts. Cors Caron nature reserve is just along the road to Tregaron. Red Kites are a constant sight over the park and there is a specialist centre dedicated to these birds in the nearby town of Tregaron. In fact the whole area is perfect for anyone who enjoys wildlife and conservation. Bryn Y Gors is the perfect place for walkers to have their holiday home. Set in the heart of the rural Welsh countryside you will never be too far away from just the right walking trail for you. The “Tregaron Trails” are a must for anyone interested in walking, with a choice of trails offering a range of terrains and distances. Elan Valley is well worth a visit. Just under an hour away from Bryn Y Gors this area of Wales offers spectacular views and lots of varied walking for walkers of all abilities. The Ceredigion Coastal Path is another delight of the area. It gives you the opportunity to observe a large diversity of coastal features including sand dunes, storm beaches and sea caves. 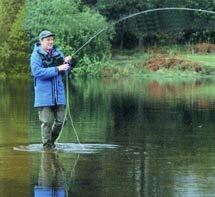 Bryn Y Gors is the perfect place for your holiday home if you are interested in fishing. The area offers a wide range of fishing opportunities, from sea fishing along the Ceredigion coast to river fishing in the Teifi and beyond.The well renowned Teifi Pools are just two miles from the park. For people interested in sea fishing, angling trips and boat charter are available from several of the harbour towns along Cardigan Bay. Tregaron also has an angling association which welcomes novice and experienced anglers and has a wealth of knowledge about fishing in the area. 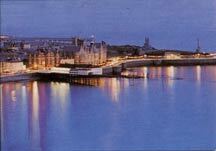 If a day out to the seaside is on the cards then the old market-town of Aberystwyth is definitely a good choice. There is a 1½ mile long beach stretching from Constitution Hill (home to the longest electric cliff railway in Britain and the world’s largest camera obscura) passing by the pier (originally over 700ft long) and making its way down to the harbour and beyond. In the summer, with patience, it's sometimes possible to spot Bottlenose dolphins, Harbour porpoise and even Atlantic Grey Seals out in the bay. There’s also much more to do in Aberystwyth, such as a visit to the cinema, museum or why not just take a stroll around the town enjoying the many shops and cafés that are on offer. It is the ideal place for a day out whatever the weather. Tregaron is the smallest town in Ceredigion and originates from as early as the 13th Century. It is the birthplace of Henry Richard, the acclaimed 'Apostle of Peace', who was involved in forming the League of Nations after the First World War. Once a strategic meeting place for 19th century drovers, the area is also famous for its weekly market and annual festival of harness racing. Tregaron is rich in history from many aspects of historical living so a visit to the town’s museum is well recommended. Just outside of Tregaron is Cors Caron National Nature Reserve, one of the finest raised bog systems in Britain; you can see how the landscape has changed over its 12,000 year history and observe a large variety of flora and fauna. There is much to captivate at this evocative, historically important site nestled just outside the village of Pontrhydfendigaid or just ten minutes down the road from Bryn Y Gors Holiday Park. 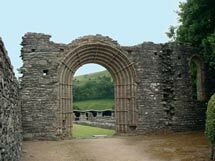 Founded in 1164 by the Anglo-Norman lord, Robert Fitz-Stephen, Strata Florida Abbey is the final resting place of many Welsh princes and one of Wales’ most well-known medieval poets, Dafydd ap Gwilym. Learn about the entrepreneurial skills of the Cistercian monks that lived here and how the abbey soon became renowned as a centre for Welsh scholarship.